Plus, T. Rowe Price closes health-sciences fund to new investors. New mutual funds and annuities are being launched. New products and changes introduced over the last week include three funds from Hancock Holding Company; the closing of the Health Sciences Fund to new investors by T. Rowe Price; two funds from Russell Investments; a smart beta index series from FTSE Russell and Research Affiliates; and an index series from FTSE Group and NAREIT. Also, RiskX and American Independence have made both firms’ funds available on both platforms in advance of merger completion; MetLife added a universal life product; Lincoln Financial added a fixed indexed annuity; Putnam Investments and Nissay Asset Management announced an extension of their strategic alliance; and RiXtrema rolled out its portfolio crash test solution. Hancock Holding Company has announced the addition of three funds: the Hancock Horizon Microcap Fund (HMIAX); the Hancock Horizon International Small Cap Fund (HISAX); and the Hancock Horizon Dynamic Asset Allocation Fund (HDAAX). HMIAX focuses on companies ranging from $25 million to $750 million. Consisting of approximately 60-70 equally weighted companies, the fund strives to have an average market cap of $500 million. It will be managed by Anthony Slovick and Steve Solomon. HISAX looks for opportunities in the global small-cap marketplace and will invest in non-U.S. companies with market caps between $75 million and $5 billion. It is subadvised by GlobeFlex’s Robert Anslow and James Peterson. HDAAX casts a broad net of about 20 liquid asset classes, from the S&P 500 to real estate investment trusts to international stocks, with a focus on managing both volatility and risk. Austin Zaunbrecher is the fund manager. T. Rowe Price has announced that it has closed its Health Sciences Fund (PRHSX) and similar portfolios for institutional clients to new investors. While the fund is closed to new investors, it will continue to accept additional investments from existing shareholders and from participants in an employer-sponsored retirement plan for which the fund serves as an investment option. New IRAs may also be opened through a direct rollover from an employer-sponsored retirement plan. Russell Investments has introduced the Russell Tax-Managed International Equity Fund (RTNAX) and the Russell Tax Exempt High Yield Bond Fund (RTHAX). RTNAX seeks to deliver long-term capital growth on an after-tax basis, and invests principally in depositary receipts and equity securities issued by companies economically tied to non-U.S. countries in both developed and emerging markets. Jon Eggins is the portfolio manager. RTHAX is designed to create an opportunity for higher tax-exempt income by investing 30–60% of its assets in municipal bonds that are below investment grade. Kevin Lo is the portfolio manager. FTSE Russell and Research Affiliates LLC have announced the launch of the FTSE RAFI Equity Income Index Series. The series will track high dividend-paying stocks that are screened to target sustainable income. 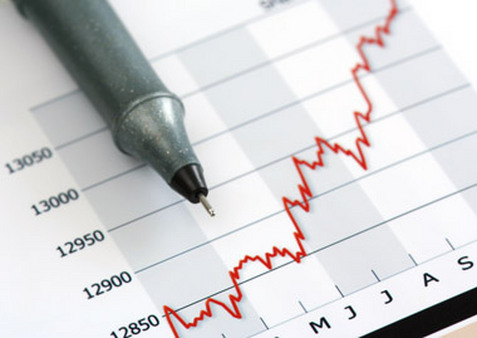 The indexes are weighted according to fundamental measures, rather than to market capitalization. FTSE Group and the National Association of Real Estate Investment Trusts have launched the FTSE NAREIT PureProperty Index Series. The series provides a daily measure of real estate returns (price returns and total returns) at the level of both property and equity investments. The series’ values are inferred from price appreciation and income distributions generated by portfolios of properties owned by stock exchange-listed U.S. equity REITs. In advance of the completion of the previously announced merger of FolioMetrix and American Independence Financial Services into RiskX Investments, both RiskX and American Independence are offering both firms’ mutual funds as well as the Rx Fundamental Growth Fund (FMFGX) and the American Independence International Alpha Strategies Fund (IMSSX), both from fund manager Louis Navellier. The merger is expected to be completed in September. MetLife has announced the launch of the Premier Accumulator Universal Life (PAUL) product. The product provides both death benefit protection and access to early cash value accumulation to help policyholders meet a variety of financial goals. Lincoln Financial has announced the launch of the OptiBlend Fixed Indexed Annuity, a flexible premium deferred indexed annuity. The product offers four different crediting strategies aimed at providing a combination of growth potential and capital preservation. Putnam Investments and Nissay Asset Management have announced an extension of their strategic alliance through 2020. The agreement between Putnam and NAM, originally established in 1998 and last renewed in 2010, focuses on managing and providing investment products and services to Japanese institutional and retail investors. RiXtrema has announced the rollout to advisors of its portfolio crash testing solution, which allows advisors to identify, and adjust for, potential problems in a portfolio before they occur. The software also educates investors on portfolio performance scenarios. The RetireRisk module enables advisors to connect risk analytics to the goals, dreams and fears of the client. Read the June 1 Portfolio Products Roundup at ThinkAdvisor.